Before buying a home, ask yourself some questions to determine if the timing is right: Do you have a good credit score? Is your job secure? Can you stay put for a few years, at least? If the answer to these questions is “yes” you’re on your way. Current housing market conditions make it a great time to buy a home. It’s true — affordable homes and historically low interest rates encourage you, but there are a few things you should know before buying a home. First off, before you start looking for a home, get pre-qualified for a loan. Banks, credit unions, and mortgage bankers make home loans. The lenders will take your application, process the loan documents, and see the loan through the funding stage. If you have marginal or bad credit, consult your lender. You may be able to qualify for a loan depending on how long ago and what reason caused your bad credit. You will need a down-payment. These requirements vary depending on the type of loan. many down-payment assistance programs exist. These programs may loan or grant you the funds necessary for the payment. Consult a lender about what’s available in your area. In some cases a family member can gift this, too. You will need funds for closing costs. Closing costs are charges for services related to the closing of the real estate transaction. They generally include, but are not limited to escrow fees, title policy issuance fees, mortgage insurance fees, fire, flood, and homeowners insurance, county recorder fees, and loan origination fees. Consult your lender or Real Estate Agent for an estimate on these costs. Some loans have “points” and some do not. A point is a loan origination fee equivalent to 1% of the loan amount. With the interest rate, they constitute the yield on your loan for the lender. Mortgage rates can be fixed or adjustable. The one that’s right for you depends on whether mortgage rates are high or low when you purchase, and how long you plan to live in the home. There are two main types of loan categories. Conventional and Government loans. Conventional are available with both fixed and adjustable interest rates. Government loans include FHA fixed and adjustable rate mortgage loans, and VA fixed rate mortgage loans. 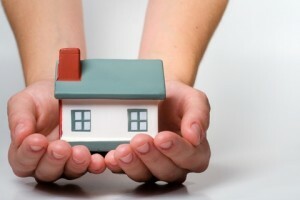 If you are a home buyer with low-to-moderate-income there are special programs designed to help you. These loans are available through private lenders, as well as local and state housing agencies. You may have to pay mortgage insurance. This protects the lender from potential loss if you should default on your mortgage loan payment. Many organizations offer home loan counseling to prospective home buyers. They will cover home selection, realtor services, lenders, loan programs, home ownership responsibilities, saving for a down payment, and other important pieces of information. Before buying a home just consider these things – make sure you’re stable in all aspects.